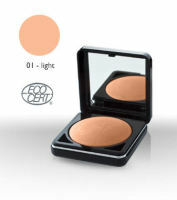 Certified organic and vegan talc-free Duo Eye Shadow. Anti-ageing makeup. suitable for sensitive skin.